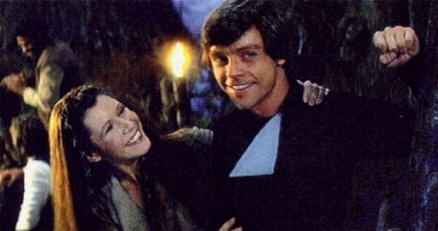 Or actually in a little town called Glendale, there was a thirteen year old girl who fell in love with Luke Skywalker. Every night, when her parents went off to work and she was left alone to her imagination, the little girl would put in the laser disc of Return of the Jedi and reenact the entire movie. Sometimes, depending on how much time she had throughout the night, she would play all three Star Wars movies, becoming Luke Skywalker in her mind, feeling the changes and emotions he experienced, pretending to fight with Leia over Han Solo, instead of the other way around, until she had the entire original saga memorized by heart. But it wasn’t Han Solo’s swashbuckling, rebellious personality she idolized and swooned over. It was the passion of a young adventurer, of someone who wanted so much to be apart of something bigger than himself, and, in turn, becoming bigger than he ever could have imagined. Of a boy who grew into a man who was loyal to his friends and family, believed in something great, and held onto that belief with unwavering, but always tempted, perseverance. The little girl not only wanted to be Luke Skywalker, but was crazy about him. Every blue-eyed glance, every sideways smile creating a soft crease into his cheek, every clench of his fist, every swing of his green lightsaber, made her fall over and over about him. 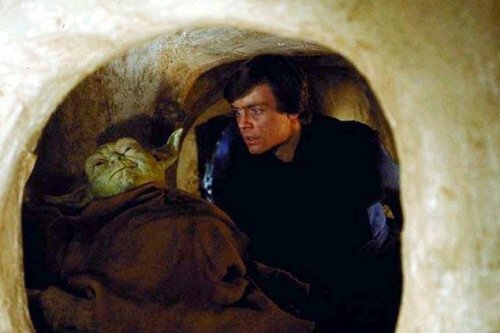 Sometimes to the point of pausing the laser disc on images of Luke having a concerned expression (specifically in Yoda’s hut). This was, of course, before internet was fully functional and she had to rely on the pause button. If any of you remember the laser disc machines, it wasn’t easy to “still” the picture without it turning into a blue “pause” screen. There was a “still” or “step” button that would make the picture freeze in place. And it wasn’t always easy. That little girl was me. Obviously. There’s nothing sexier than a black cloak over a black jumpsuit fighting bad guys. And looking terribly concerned. At least, this was how I felt at the early stages of my adolescence. One day, while I was with my mother inside Barnes and Noble’s Bookstore, I went off into the science fiction section out of curiosity. I hadn’t seen any Star Wars books before until then. I had no idea other authors had expanded far past the movies and that there were many more adventures. One particularly caught my eye. 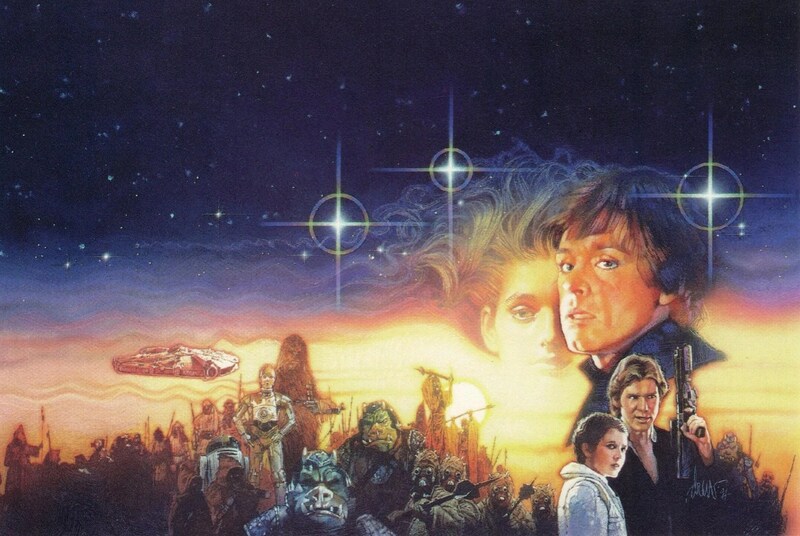 Barbara Hambly’s Children of the Jedi. It was the woman’s image beside Luke who really caught my attention. Finally, a love interest for Luke, I thought. So I begged my mom to buy it for me, and as soon as we got into the car, I immediately started skimming the pages to anything that had Luke talking to some other woman. I never actually read the book. I just skipped to the pages where the character Callista dialogued with Luke. After consuming myself with this book, I became addicted to finding other Star Wars novels with different love interests for Luke. I had gotten Timothy Zahn’s Thrawn trilogy where I was extremely intrigued by Mara Jade, but highly disappointed that nothing really major happened between Luke and Mara in those stories (other than slight sexual tension of course). Apparently, that wasn’t enough. I wanted more! Every visit my mother and I made to Barnes and Noble, I got a new book, hoping that some sort of romance would happen for Luke. I wanted him to find happiness and love so badly and HAD to be with the right person! I got extremely excited when Zahn finally wrote the two novels, The Hand of Thrawn series. This was where Mara and Luke finally fell in love after years of an on and off friendship, and in the most adventurous and stubborn way.Which was perfect! I loved that Luke would be the sweet, gentle, and loyal guy who was always slightly naïve about someone else’s affections for him. And that Mara, who was the stubborn, highly fiery, no-nonsense woman, but who was also loyal and honest about her feelings and affections, would be the one to land him. It was exactly how I had pictured it. Around this time, I was fifteen. 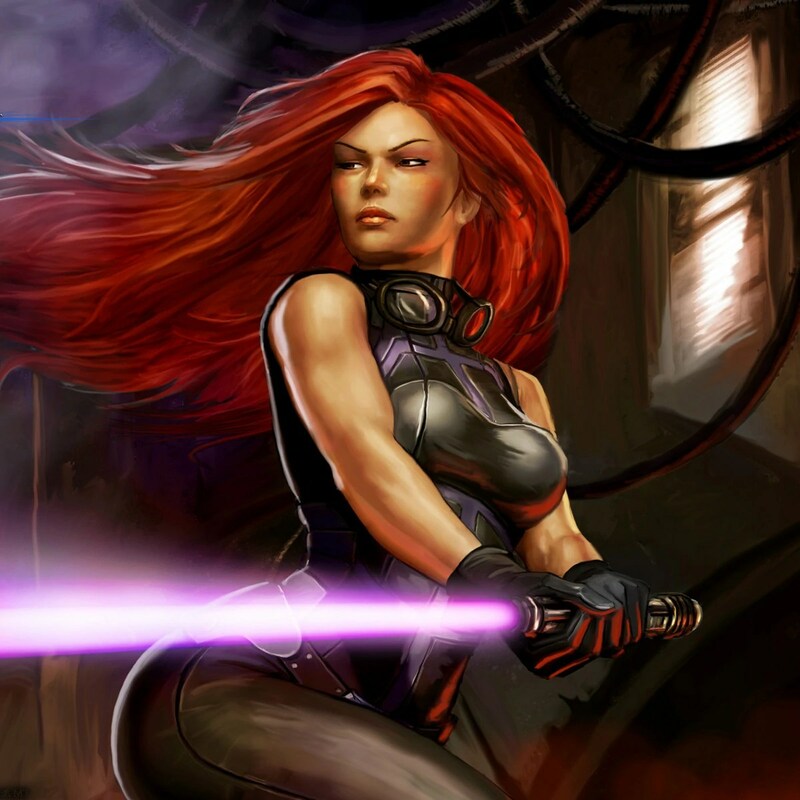 And I wanted to be Mara Jade. She had a dancer’s body, and so did I. She was a red head, and so was I. I bought green contacts to make my steel eye color to be emerald green. I already saw myself as her, could you tell? I was (and still am) fiery, passionate, logical, loyal and very affection when I chose to be, and with the right person. As I got deep into high school, I had become so obsessed with Luke and his romances that I even wrote two Star Wars novels starring my own character Lilliya Starr as his love interest. I made it so it could fit into the chronology of books and had it where Mara had actually been killed off to make Luke available. This was in 1999, years before the authors actually DID kill off Mara. Of course, my stories were filled with mystery and adventure, but there was always exciting sexual tension between Starr and Skywalker that it made it fun to write. And there were six books for me to create. So…that was fun. Not quite done yet. 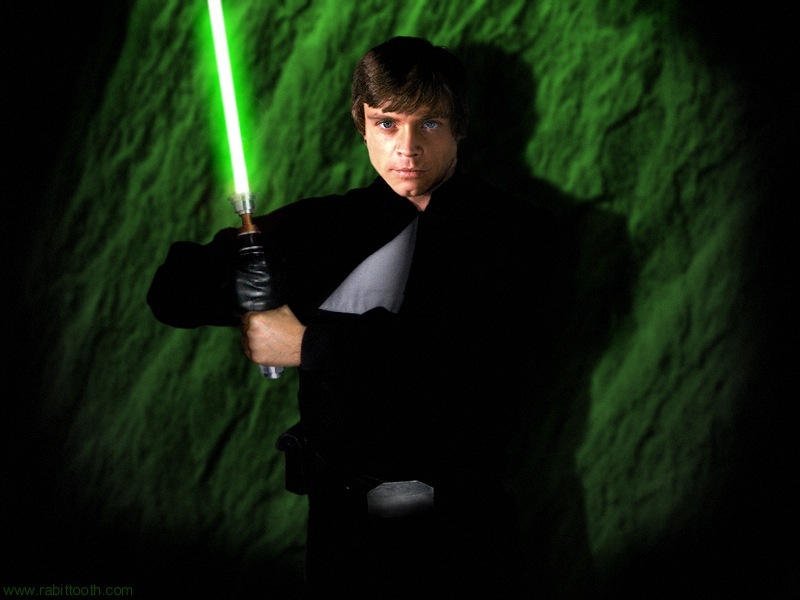 As I got into college, I realized I was actually comparing my boyfriends to Luke Skywalker. It never occurred to me until I started dating a lot of different guys. 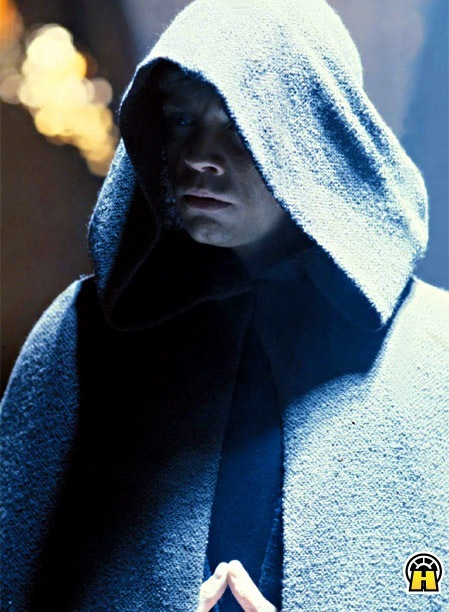 That one is too A New Hope…That one is too Empire…That is NOTHING like Luke. To emphasize my obsession even more, my mother knew I was looking for a guy with the last name Walker just so I could have a son and name him Luke Sky Walker. Or maybe just Luke Walker. It was always fun to think about. Because of my mother’s knowledge of this, I had been set up on a blind date with a guy who had the last name of Walker. Didn’t work out, but I am STILL on the lookout. Preferably without the woman on his side. And I’m never settling for less. No one should.